Instagram has recently launched Shoppable Posts so you can have an Instagram ecommerce store. 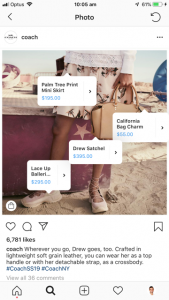 Instagram Shoppable posts look like standard Instagram posts but they include clickable Instagram shoppable tags with prices on the post and when people click on the Instagram shoppable tags, Instagram users can directly purchase the product displayed straight from Instagram. First because shoppable posts are clickable, unlike Instagram captions which don’t allow you to add clickable links. So instead of having to redirect people reading the caption of your post to click on the link in your bio, or instead of having to create Instagram stories to add clickable links, you can create Instagram Shoppable posts to generate traffic. The second benefit of creating Instagram Shoppable posts is the fact that people can complete a purchase almost straight from a shoppable Instagram feed which creates more trust. So the more trust there is, the more sales you are likely to generate. 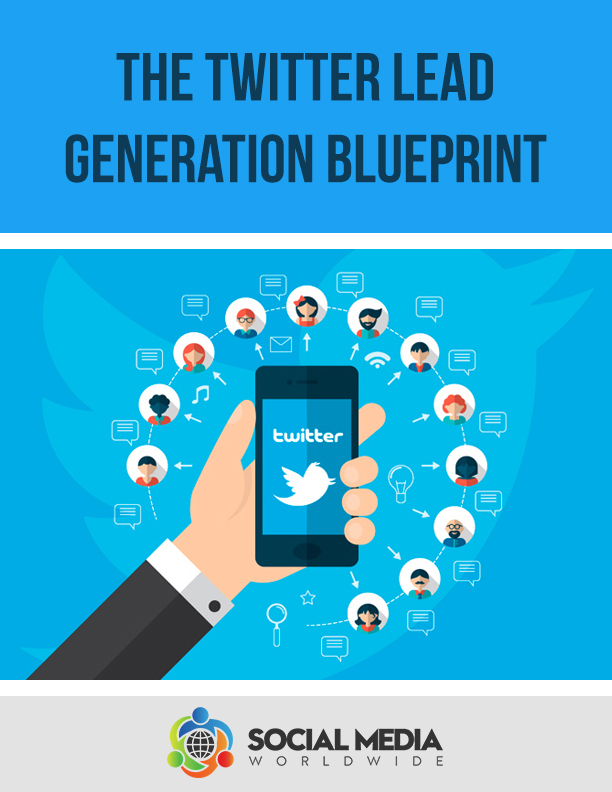 Plus, you’re not losing as many prospects during the sales process. The third benefit of creating Instagram shopping posts is that it becomes a more user-friendly experience for your Instagram audience. They no longer have to look for the price of a product or browse your website to find the item displayed or read the caption to find out where the item can be purchased. Instead, they have all the information they need instantly and the ability to purchase the item in just a few clicks. In order to be able to create a shoppable Instagram feed you will need to make sure you are located in the countries where the Shoppable posts feature is available as it’s not available in every country. If you’re unable to create Instagram shopping posts it’s probably because the feature is not available yet in your country. 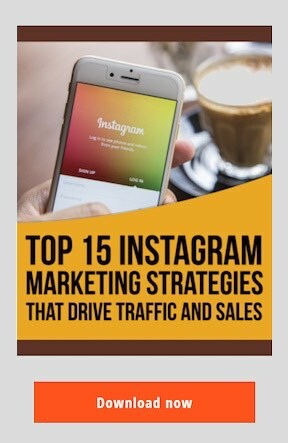 If you’d like to take your Instagram marketing to the next level, and increase the results you’re getting from your current Instagram marketing efforts considerably, download my FREE Instagram report, titled The Top 15 Instagram Marketing Strategies That Drive Traffic And Sales. Simply enter your name and email and I’ll instantly send you the report. You will also need to convert your Instagram account into a business account if you haven’t already to have an Instagram ecommerce store. 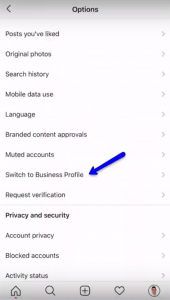 If you haven’t, simply click on the settings tab on your Instagram account and click on “switch to business account” and simply follow the prompts. Plus, you have to make sure you that you have the latest version of Instagram installed on your phone. To make sure you have the latest version, go to your app store and type “Instagram” in the search box. If next to the app a tab appears that says “update” then click on it. This will ensure you have the latest Instagram app. 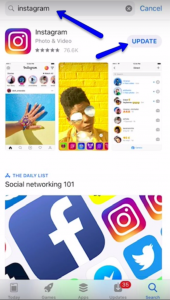 Lastly, to be able to create Instagram shoppable posts, you need to create a Facebook product catalog. 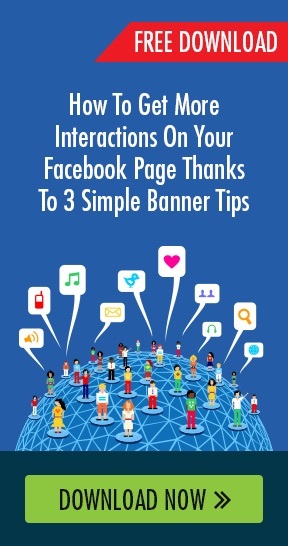 To do so, you’ll need to have a Facebook advertising account. If you do, access Facebook’s ads manager, by clicking on the drop down menu on the right hand side of your Facebook profile. Then, click on “manage ads” to be redirected to Facebook’s ads manager. Then, click on the drop down menu, next to the “Business Manager” tab, click on “all tools” and under “assets”, click on “catalogs”. Then, click on “create catalog” and follow the prompts. Once you’ve created your catalog you’ll have to allow a few hours or a few days for Instagram to review your account. Once your account has been reviewed, you will receive a notification on Instagram. Simply click on “get started” below the notification and follow the prompts. Then, connect your Instagram account to your product catalog by going to the settings section of your Instagram account. The settings section in Instagram can be found when you go to your profile, click on the 3 lines on the top right hand corner, and you’ll see the settings tab on the bottom left hand side. Once you have set up everything for your Instagram store, you’ll be able to create Instagram shopping posts. Just like publishing a post, upload a picture, add filters if you want, write a caption and the same way you would tag people in your posts, by clicking on “tag people”, you can tag products, by clicking on the tab called “tag products”. Then, start typing the name of the product you want to tag so Instagram can source the product you are after from your product catalog and the product you want to tag appears in the search results. Once the product you wish to tag appears in the search results, click on it so you can tag it in your post. Then, tap done and publish your posts with Instagram shoppable tags. 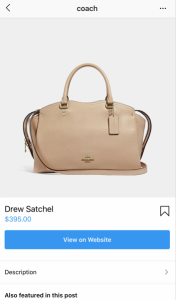 When you create an Instagram store, people will see on the bottom left hand side of the image the symbol of a bag, to notify them that items on the post are available for purchase. Then, when people click on posts to magnify the image, people can tap on the items in the post with the Instagram shoppable tags for their price to appear. Then, when they click on the tag, the product will be displayed and the option to be redirected to the website to purchase the product will appear below the product. The key with an Instagram store and shoppable posts is to not just display a picture of the product for sale on a white or plain background. If you do, your Instagram account might come across like a boring online catalog of your products. Instead, display your products in a nice, original setting. 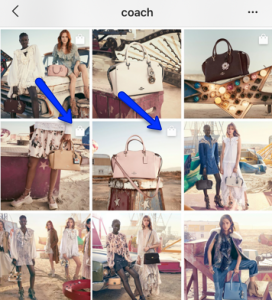 The handbag brand Coach for example displays artistic pictures of people wearing their bags, in their shoppable Instagram feed and only when you tap on the price tag do you see a close up of the product on a plain, white background. It’s the background you choose for your Instagram shoppable post that will attract people to your products, so make sure you put some thought and time into creating eye-catching Instagram shoppable posts. To generate even more interest to your Instagram shoppable post, create Instagram shoppable ads by clicking on the “promote” tab on the bottom right hand side. This will allow you to advertise your Instagram shoppable ads to a specific group of people you choose through targeting for as little or as much as you want, depending on your Instagram shoppable ads budget. By creating Instagram shoppable ads you won’t have to rely just on your followers to purchase your products. Remember to also subscribe to our Youtube channel for the latest social media marketing tips and tricks.